Queen Elizabeth (1952 – ) was crowned Head of State, Head of the Commonwealth and Supreme Governor of the Church of England in 1952. 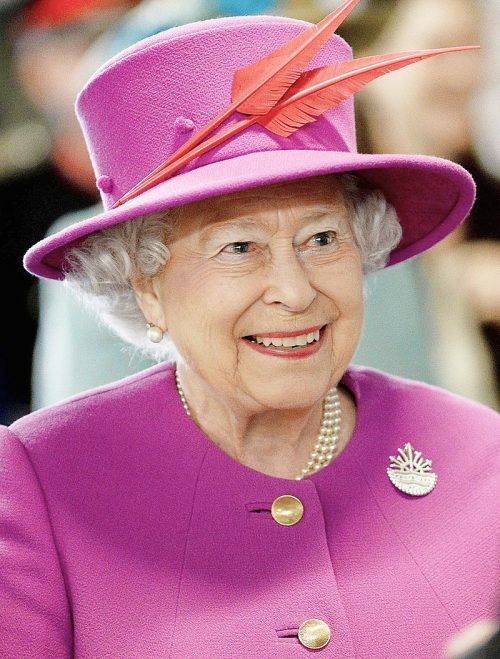 She is the longest-serving British monarch and has presided over half a century of continual change both within the Royal Family, Great Britain and the Commonwealth. Elizabeth was the eldest child of Prince Albert, the Duke of York (later George VI) and his wife Elizabeth (later known as the Queen Mother). Her father Prince Albert was second in line to the throne until his elder brother Edward VIII abdicated in 1936 – pushing the shy Prince Albert into an unexpected role of King. King George VI rose to the challenge though he died early in 1952. 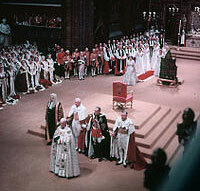 In 1952, her father George VI passed away and Queen Elizabeth was crowned Queen with widespread enthusiasm. Her coronation set TV records around the globe, and it appeared to usher in a new era for the monarchy and British Commonwealth. News of Edmund Hilary reaching the peak of Mt Everest was delayed to coincide with her coronation. It appeared a symbolic end to the post-war austerity. The 1950s could be seen as the golden age for the Queen. Deference and respect to the Royal family were still high, and the young Elizabeth looked like the fairy-tale Princess. However, over the next few decades, widespread social change saw a decline in traditional attitudes to the monarchy. Also, the new era of TV and intense media scrutiny led to many unfavourable headlines as her children were caught up in marital problems and related scandals. Yet, there were still high points for the Royal Family, such as her ‘Silver Jubilee’ in 1977 and the wedding of Prince Charles and Lady Diana in 1981. By the 1990s, the media had a widespread fascination with Princess Diana, but as their marriage broke down, the Queen was increasingly perceived as being out of touch. In 1992, she famously declared the year to be her ‘annus horribilus‘ The year saw media headlines dominated by the marriage breakup of Charles and Diana, a fire in Windsor, and other criticisms of the Royal Family. In 1996, Princess Diana died in a car crash, and temporarily there was public dismay as the Queen appeared distant and refused to fly the flag at half mast. But, after the Queen later expressed admiration for Princess Diana the hostility evaporated. Nevertheless, the relationship between Princess Diana and the Queen were best described as being ‘cool’. 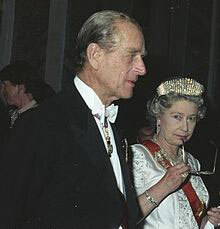 After the difficulties of the 1990s, the 2000s saw a resurgence in her popularity as the Royal Family put many difficulties behind them, and they were able to celebrate good news. If 1992 was her annus horribilus, 2012, was perhaps her annus mirabilis. Firstly, in April, Prince William married Kate Middleton to widespread public enthusiasm. Then in summer, her Golden Jubilee was widely celebrated and popular despite the wet weather. Finally, in July 2012, she took part in the opening ceremony of the London Olympics – which was a huge global success. 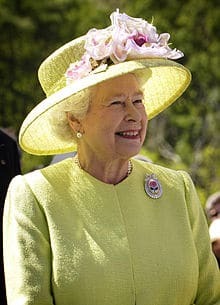 During her time as Head of State, Queen Elizabeth has sought to refrain from interfering in political issues and provide a moderating influence on the nation. She is a committed Christian and often mentions her religious beliefs in her Christmas addresses. However, in her role as Head of the Church of England, she has stated that she is committed to protecting the rights of all different faiths. Despite passing 90 years, she is in relatively good health and shows no sign of passing the throne to her heir Charles early. Though in recent years, she has begun to cut back on public engagements. Citation: Pettinger, Tejvan. “Biography of Queen Elizabeth II”, Oxford, UK www.biographyonline.net, 30/01/2013. Updated 31st January 2017.